When we talk about the city of Bandung, it will not be separated from talking about sunda. 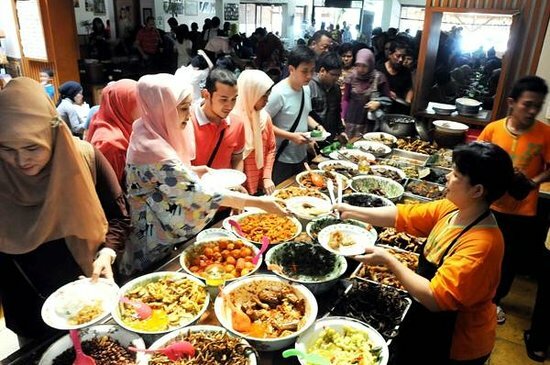 Included in the culinary tour, it's not fitting if you visit bandung without trying the typical Sundanese food. And if talking about Sunda, do you know culinary tourism destination in the form of a delicious and cheap restaurant in Bandung? 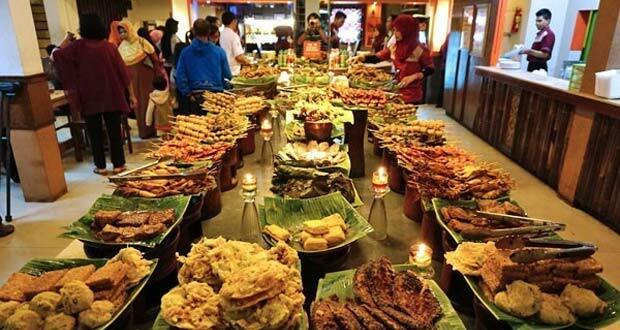 Such as a restaurant that offers a variety of culinary menu typical of sunda is very tasty and cheap with a unique service or how to eat like lesehan for example. Well, where are the addresses of Sundanese restaurant in Bandung the most delicious and cheap with many other interesting information? let's just look at the peelings below. Nasi Bancakan Resto is located at Trunojoyo No 62 and open everyday. This place so popular, especially in the weekend and holiday season will certainly be met by visitors who are not only citizens bandung, but tourist out of town as well. What makes this place so uniqe is because this place offer a sensation of eat some kind of sundanese food with old style cutlery. So nostalgic. Sunda Restaurant in Bandung this one, in addition to popular as a good place to eat for culinary Sundanese once, is also a part of a very famous business group in Bandung such as hotels and restaurants. 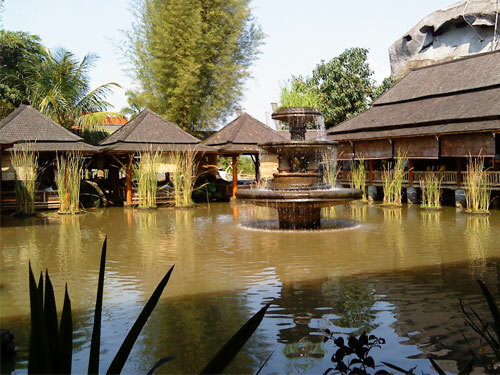 Besides ready to serve delicious Sundanese culinary delights, Sindang Reret also provides a place to rest for tourists who want to spend the night, so it is famous also as one of the good Hotel in Bandung location, either Villa or its cottage. 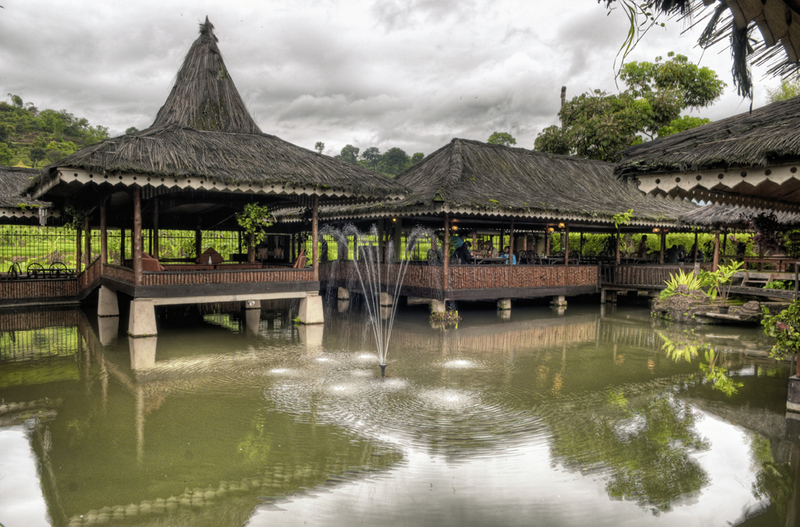 One of RM Sindang Reret's most famous locations and visited by tourists during the weekend and holiday season is located at Jalan Surapati No 53 Bandung, RM Sindang Reret in Bandung Raya Ciwidey Street, and RM Sindang Reret located in tourist area of Lembang , exactly at Cikole. Sundanese restaurant this one offers the concept of how to enjoy various dish culinary menu of sundanese food without a plate. It's as the name of the restaurant Alas Daun that has meaning leaf plate. 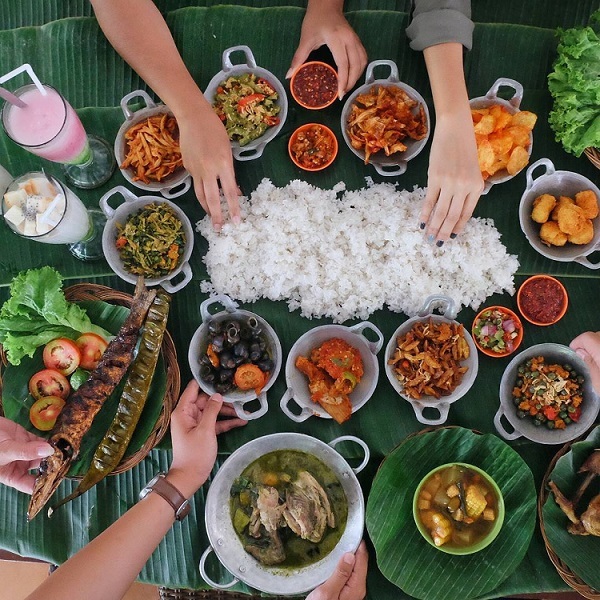 So do not be surprised if you come to this unique dining place in Bandung will not find a plate as the base of his meal, and here is the sensation, but will not change the delicious and delicious variety of Sundanese special menu that you ordered. This restaurant is located at Jalan Citarum No 34, Cihapit Bandung Wetan, Bandung. This Sundanese Restaurant is in the tourist area of Bandung regency (south of Bandung) precisely located in the region Soreang. The location is in the direction of the T-junction to the Tourist Places in Ciwidey. If you are on vacation visit the sights in pangalengan Bandung like Mount Puntang or Situ Cileunca, then from the direction of Bandung, this place will pass your vehicle. This Sundanese restaurant is very wide, and offer you a Lesehan/without chair eating place that so good and have a cheap price. Offers a lot of Sundanese culinary menu, such as grilled fish, chicken pepes, fried tofu and tempe plus sambel and fresh lalaban/vegetables. 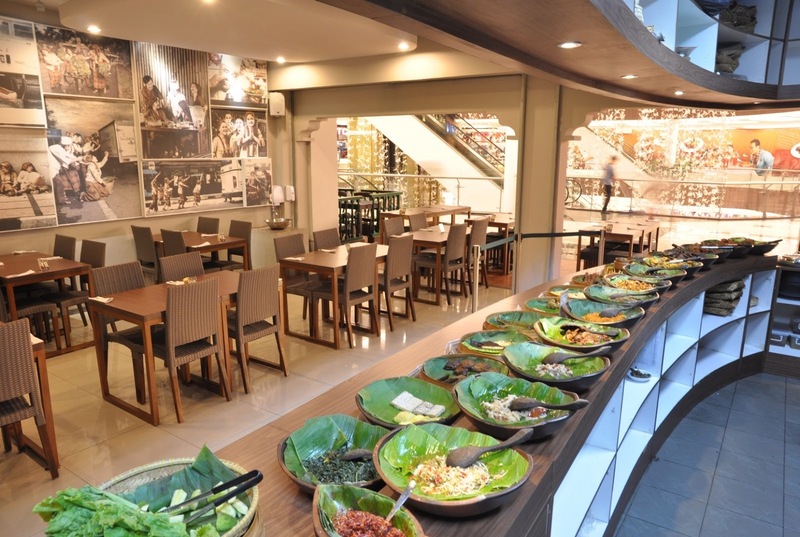 Blending the concept of modern and old then Sambara also become the recommendation of Sundanese restaurant in Bandung that every day has many customers. For the price is very affordable for the size of the facilities and the delicacy of food at Sundanese restaurant in Jalan Trunojoyo, Bandung. The advantages when you eat there you can enjoy free wifi facilities. This restaurant is very suitable to be visited with family. 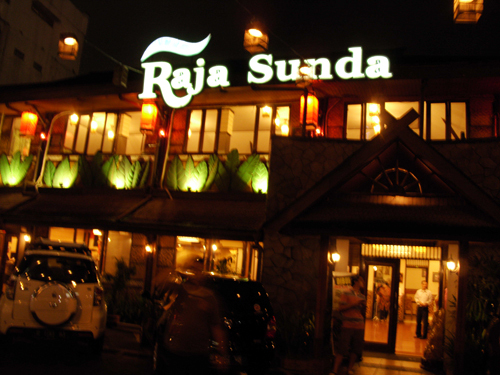 For those of you who are interested to visit this King of Sunda restaurant then you can come to the address at Jl. Doctor Djunjunan No 63, Padjajaran. Many of the customers of this restaurant say that the delicacy of food there is very reliable especially with the affordable price. For those of you who have several times come to Bandung but have never eaten in this RM Ampera then very unfortunate. This RM Ampera is a Sundanese restaurant in Bandung which is very popular in Bandung and its branch is everywhere. There are at least 9 branches of RM Ampera in Bandung so wherever the direction of your destination in Bandung you will definitely find this restaurant.